In the woods of Sweden, not far from the sea and the beautiful village of Kalamar, you’ll find a factory. It’s not the kind of factory that pumps out chemicals, ruining the forest, poisoning the sea and making the residents of the village unhappy. It’s the kind of ecologically friendly factory that crafts beautiful, individual products that are loved by everyone. Introducing Åry Trays. Crafted by hand in a little factory in the Swedish woods, each of these wooden pieces is the result of a labour of love. With a heritage dating back more fifty years, Åry Trays are still made the same way they were fifty years ago. 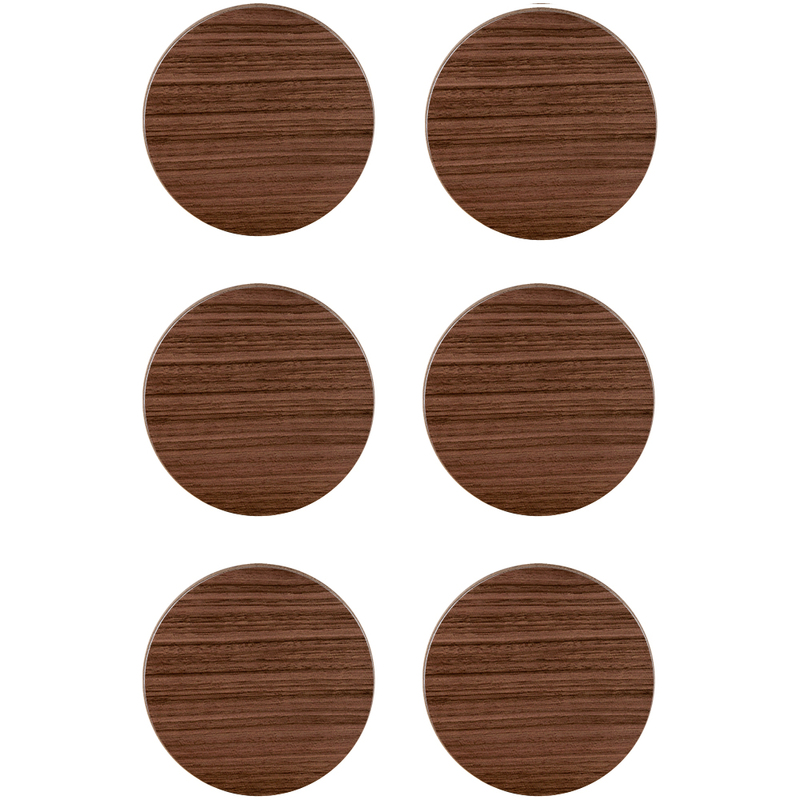 Åry’s coasters are made from layers of the finest natural wood, responsibly harvested from a renewable source. Each layer is made from a single sheet of wood, so there’s no need to worry about germs hiding in the joins. Åry actively seek work from new artists and designers from around the world with fresh ideas and a distinct identity, resulting in trays that are as lovely to behold as they are useful. Crafted from walnut wood from responsible sources. Each layer is crafted from single sheet of wood, allowing a seamless, hygienic surface. Presented as a set of six in an Åry Trays box.